Congratulations if you’re the lucky new owner of a smartphone or tablet. Hopefully you’ve managed to set it up without any problems, so now it’s time to think about the best apps to download. IF YOU HAVEN’T GOT THESE GREAT APPS, YOU’RE MISSING OUT. There are some great apps out there, but the huge number available can be a little daunting. There’s really no need to worry though, and discovering apps can be fun. If you’re keen on a particular subject, do a keyword search for it and see if any interesting sounding apps come up. Most apps are either free, or have a free version that you can try out. Welcome to the world’s most popular video site. With 100 hours of video uploaded to it every single minute of the day, you’ll always find something new that interests you. A lot of people go mad over funny cat videos, but we prefer baby hedgehogs. Spotify is the perfect choice for music lovers, with more than 20 million songs to choose from. It’s easy to select and play your favourite songs and albums, and you can even choose playlists based on your mood. Try the free version to see what all the fuss is about. If you’re into photo sharing it doesn’t get better than Instagram. Make your photo look like the work of a pro by applying one of the cool retro filters, and share away. Great for selfies, even better for showing off your exotic holiday snaps to jealous friends. If you’ve ever had a great idea that you managed to forget before you wrote it down, Evernote is for you. Use it when you’re out and about to jot down ideas, write notes and create sketches. You can then share your work with other devices and work on your ideas at home on your PC. Kindle gives you instant access to over a million books, plus hundreds of magazines and newspapers – and you don’t need to own a Kindle device to use it. You can shop for bestsellers or enjoy classics novels for free, so if you like the idea of winding down with Wind in the Willows, get it now. You can make video calls to family and friends completely free with Skype. It’s simple to set up and use, so no wonder it’s the most popular video and audio calling app out there. It’s great for business too, with an option for making multi-user conference calls. Out of all the apps on this list, we’ll stick our necks out and say Google Maps is the most essential. Use it when you’re on foot, in the car or on your bike to get accurate, detailed directions to your location in real-time – and even avoid traffic jams. How did we ever do without it? Sunrise is a calendar app that does the job of a great personal assistant with a faultless memory. It’s packed with smart features including contact photos, weather indicators and Google Map previews, and we’re especially impressed with being able to import event invites and birthdays from Facebook. In the world of file-sharing, Dropbox reigns supreme. It allows you to view and share documents, presentations, photos and videos with your friends and business colleagues, and because it’s cloud-based you can access your files from any device with an internet connection. 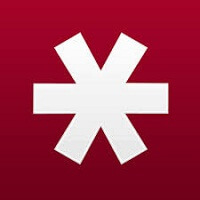 Unless you can remember every single one of the passwords you get asked to enter each day, we think a good password manager like LastPass is an essential piece of kit. This app stores and remembers your passwords for you, so you can start generating much stronger ones. We realise that everyone is different, but we hope that these apps will get you off to a great start and help keep you organised, entertained and informed. The rest is up to you. There are apps for popular websites like eBay, Facebook, Twitter and Netflix, so if you’ve got accounts with any of them it might be worth downloading the app and seeing what you think. You’ll probably need a few games to enjoy too. We think everyone should have at least one version of Angry Birds (Star Wars II is our favourite). And there’s a great Scrabble app if you’re a fan… we could go on, but we’ll leave it there. Happy app hunting.